Jezzball is a simple, yet engaging fast-paced game of skill and strategy. J-Ball builds on the original game of Jezzball. The object of Jezzball is to trap jezz atoms in the smallest possible chambers. 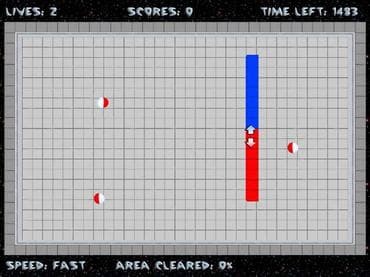 Jezzball is not just challenging and great fun, but also soothing and satisfying. - Jezzball is a free full version game to download and play. If you have questions about Jezzball game, please contact us using this form.